It is as inevitable as the Sun Rising in the east, little one. This planet is ours now. 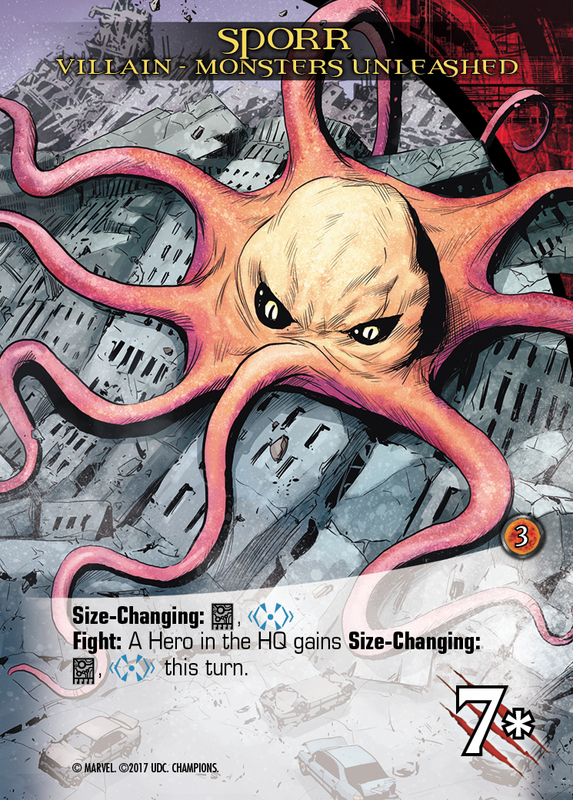 Our previews for Legendary®: Champions are coming to a close! There are just a few more things to talk about and some of you have already guessed them. We’re going to explore a few things like a returning feature. 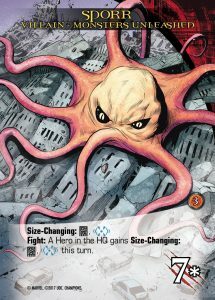 Players have loved Epic Masterminds, so we’re including them again! That means Pagliacci has another side to him! This Epic version of Pagliacci has two different things to watch out for. First is his bump in Attack, which goes from 9 to 11! The other difference? 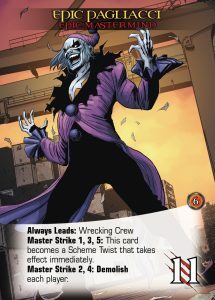 His third Master Strike becomes a Scheme Twist instead of a Demolish attack against everyone. Pagliacci is a master of his schemes, so pairing him up with some Schemes can be a lot more deadly than others. With three additional Scheme Twists, make sure you keep an eye on your loss condition. Beating Pagliacci isn’t easy, though. Insane Clown Has a Posse makes an aggressive push against your opponent’s Victory Pile, but keeps the Wrecking Crew’s theme of Demolish alive and well. 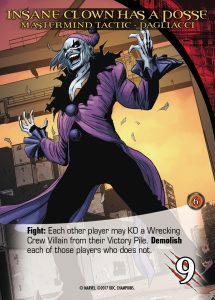 But they’re not the only Villain Group in Champions. The last card we’re previewing in Legendary®: Champions is none other than the enormous Fin Fang Foom. 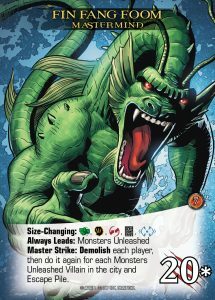 With a huge attack, and the ability to Demolish several times, Fin Fang Foom can be a huge problem for an unprepared team! 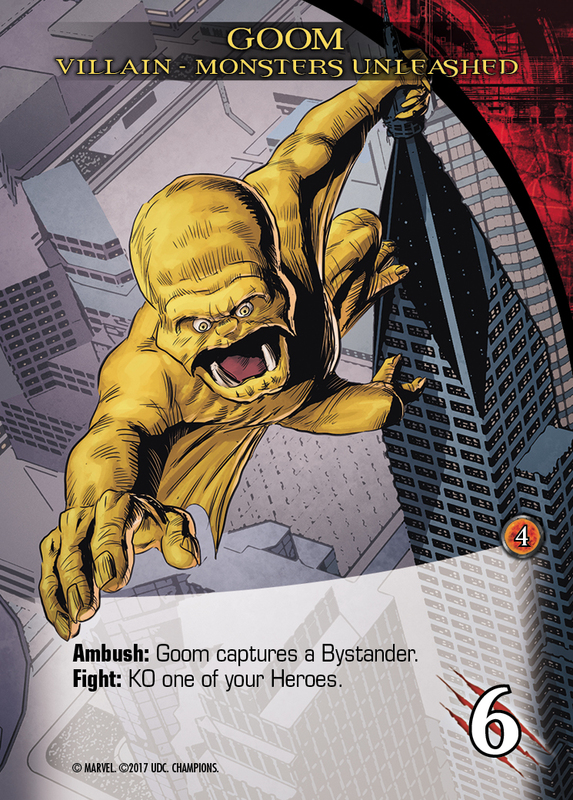 You’ll be able to fight Fin Fang Foom and the Monsters Unleashed when Legendary®: Champions becomes available at your local game store in February 2018! Just a quick question. Is size change for Foom going to be like cosmic threat is on Galactus (i.e. you can hit him once at the reduced fight value and then have to pay the full 20 to hit him again)? And please tell me on his epic side he has purple pants! I can’t wait!! Been wanting Gwenpool in my Deck for soo long! Any actual release date? Or is it just “February” for now?